Lots of crafters who enjoy quilting also end up enjoying embroidery in quilting. You might feel as if you have torn loyalties of which craft to pursue in the small quantity of time available for hobbies. Well, you can use both by integrating the two crafts! The depth and color that embroidery stitches provide can really enhance any quilting project. Even if your interest in quilting is more towards conventional quilts, it’s worth taking a look at some Victorian”crazy quilts” to get some ideas for utilizing embroidery to embellish your quilts. 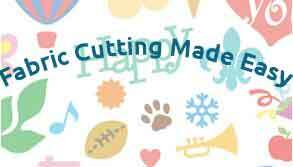 These “Crazy quilts” used embroidery extensively, in many cases covering almost every bit of the quilt’s surface area, however, you can utilize touches of embroidery here and there. You can also use embroidery on quilted clothes to give depth and structure. Embroidery stitches are simple to learn, and you may even know some already. I certainly remember covering embroidery stitches when I was a school! 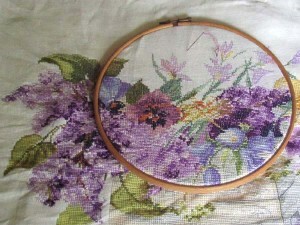 Check out sites on the internet, and you’ll discover lots of tutorials with images or photos of embroidery stitches. YouTube is also a great resource for learning too. Here is a good one from Bernina that outlines the basics for quilting in the hoop. Embroidery is generally done by using a hoop to fold the fabric in place. Your fabric or “quilt sandwich” is fastened into a hoop to keep it in place, whether you’re doing hand or machine embroidery. cross and straight stitches for decorative touches. There’s something very therapeutic about doing hand embroidery and I quite often prefer hand sewing if I don’t have a set time-scale for finishing a project. Your sewing machine might have already have some embroidery stitching functions. 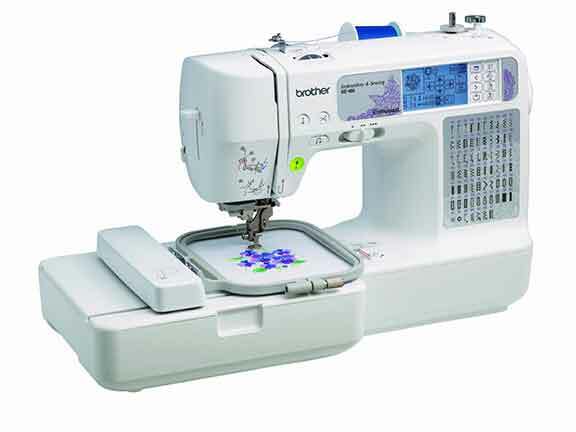 If not, you can always take a look at some of the many sewing machines available that incorporate both quilting and embroidery. It can be a bit of a learning curve doing embroidery on a sewing machine so always start with practice scraps before moving onto a full blown project. As sewing machines become more sophisticated and the manufacturers keep improving them, machine embroidery does get easier. As a quilter you are probably already using appliqué as part of your quilting strategies, and embroidery is a natural partner to appliqué. The process of appliqué involves layering one fabric atop another, instead of stitching pieces of fabric together, and embroidery stitches such as the blanket stitch can be used to embellish the edges of the appliquéd piece. Or possibly, you might want to use embroidery on the background fabric, to emphasize the appliquéd pieces. The manufacturers of embroidery thread have kept pace with advancements in the world of crafting, and now provide floss in a selection of fibers, including perle cotton, rayon, silk and even linen and hemp. They also include brilliant colors, with some even offering variegated and hand-dyed flosses. The variegated threads can create beautiful effects on an embroidered quilt..
Embroidery in quilting is definitely something you should try and open a brand-new world of quilting design possibilites.